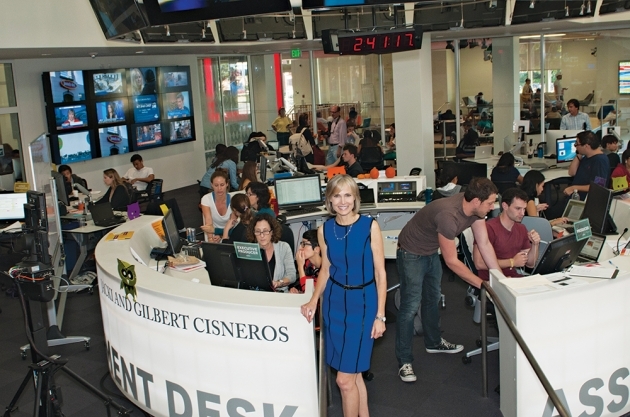 Willow Bay took the helm of the USC Annenberg School of Journalism this year amid seismic shifts in her field. A veteran of broadcast news and, more recently, the Huffington Post and Bloomberg TV, Bay is eager to lead the next generation of storytellers as the school’s new director. She spoke with journalism graduate student Daina Beth Solomon about the challenges and rewards of modern journalism, and why USC Annenberg is becoming the city’s most innovative newsroom. What is the state of journalism today, and what kinds of opportunities do you see for young people? There have been profound changes in both journalism and public relations, most of them technologically driven and many of them disruptive. The flip side of that is we’ve never had more tools to be able to go out and tell extraordinary stories. We’ve never had a greater ability to reach audiences. 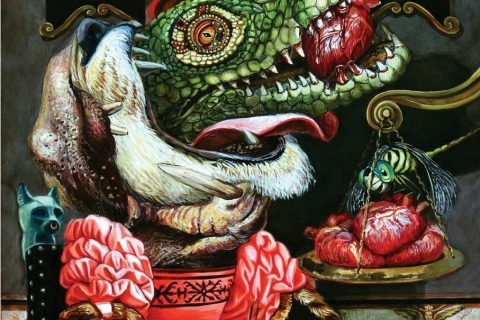 We’ve never had more creative ways to inform our readers and our viewers. Even with so many skills, will we find jobs, given journalism’s uncertain business model? I would like Annenberg to not just equip students with the skill set they need, which is sizable, but with a mind-set that is entrepreneurial, risk-taking—I might even say adventurous. I would love to see our graduates not just go out and change the world with their reporting, but also to change the world of journalism. I’d love to see the future of journalism firmly in the hands of journalists rather than technologists, who are our valuable partners, or big companies that are often our funders. How has your career shaped your vision for the school? Having worked at Huffington Post when it was a startup, I appreciate the energy, the excitement and the culture of collaboration and iterative development. It was the circular nature of change, constant improvement and constant invention there that has now become imperative at all organizations—particularly here at a school of journalism that’s operating in a space where constant change is the new normal. 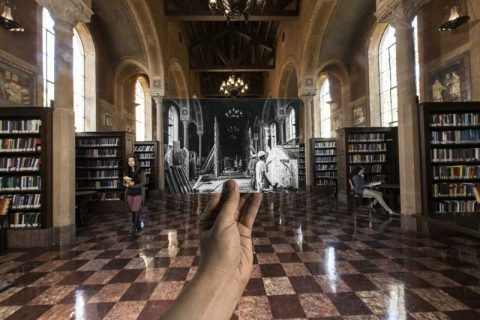 Annenberg’s biggest change this year is the move to the converged Media Center in the new Wallis Annenberg Hall, blending broadcast, print and digital platforms. How will this work? Students come in from the field, and they don’t retreat to a Balkanized set of stations that are their platforms. They come to a group of editors, and say, “OK, here’s what I’ve gathered in the field. What’s the best way to tell this story?” It’s a really exciting moment to be coming into this sandbox as a student reporter. Could the Media Center become a model for the industry? I want to say to the industry: Come on in, see all that’s going on here, bring us the challenges that you’re facing in your path to convergence. Let us wrestle with some of those, with you or for you. Bring us stories that you want us to help you cover. We want to open the doors to all sorts of conversations about how we can connect and partner. In such a rapidly changing field, what’s the value of a formal journalism education? The business today expects the digital-native generation to be equipped with skills that previous generations of journalists didn’t have. You’ll be expected to hit the ground running and to write for multiple platforms—for Web, for digital video, for longer-form stories. You’ll be expected to handle images, to shoot and cut video. Additionally, journalists today are often expected to be their own marketing and distribution departments. You are expected to know how to leverage social media tools to get your stories in front of an audience. That’s a sizeable amount of skill to pack in to a four-year undergrad education or a nine-month graduate program. You jumped into broadcast news with a MBA from New York University and an English BA from the University of Pennsylvania, but no formal journalism education. How did that work for you? On every job I acquired a new skill set. One thing I love about being a reporter is that it’s as close to being in school as you’re going to get on a job. Each story comes with a particular topic area to really dig deep into the details, and appreciate not just the facts but also the nuances and the context.